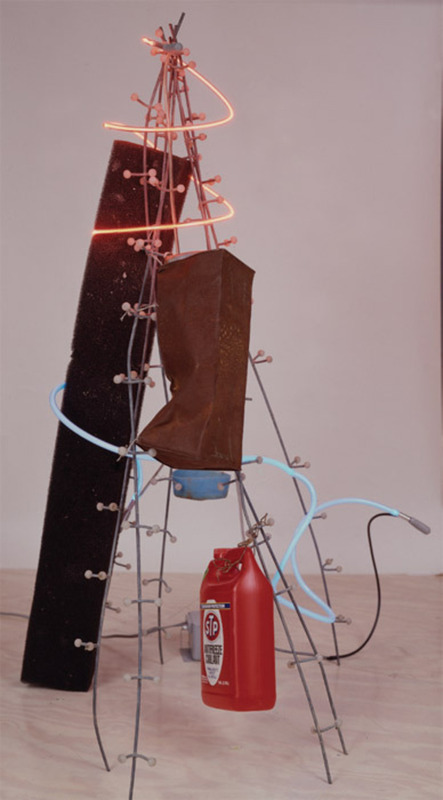 Keith Sonnier, Catahoula, 1994, mixed media, neon, found objects, 56 x 29 x 24". From the series “Tidewater,” 1994. Keith Sonnier is, along with James Turrell, Dan Flavin, and Robert Irwin, among the artists most associated with the late 1960s realization of light as medium. But whereas the others’ practices have been described as, by turns, expansive, durational, and sublime, Sonnier’s squiggling, whirling oeuvre of neons has long been bracketed as some variation on that annoyingly anachronistic description “drawing in space.” You could call what he makes artyou could also call it an experiencebut after all these years, to call Sonnier a “draftsman of light” is to too fluidly assimilate him into the modernist narrative. So who is the underexplored, still-elusive Sonnier? The ironist in glitzy Vegas drag? 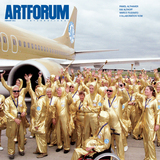 The video artist? The . . . Louisianan?